The husband was young, rich, drove expensive cars and lived the high life. His wife was just 22, and the beautiful mother of his four-month old baby daughter. 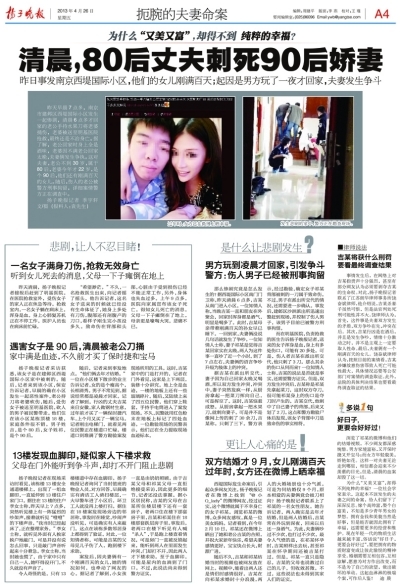 The happily married couple seemed to live a perfect life – until young chinese wife Qi Kexin was found murdered in their home in Nanjing’s Jianye District. No arrest has been reported but according toXian Dai Kuai Bao, a Nanjing newspaper run by national news agency Xinhua, local authorities suspect she was slashed to death by her drunk husband after a heated argument.She had been attacked with a knife and sustained between 30 and 40 knife wounds on her body. 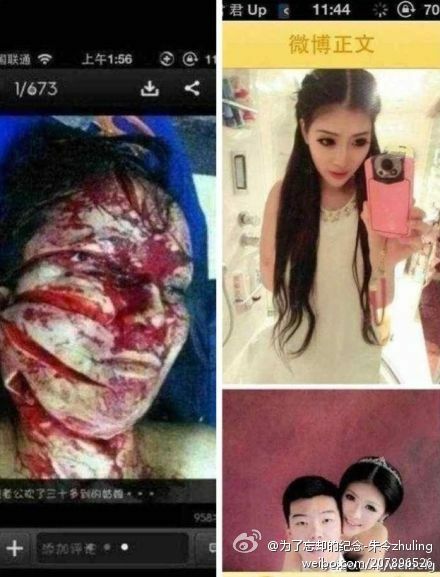 Her husband, 24-year-old Ji Xing Peng, had allegedly slashed Qi to death after an argument in which he accused her of infidelity and said that their daughter was not his.